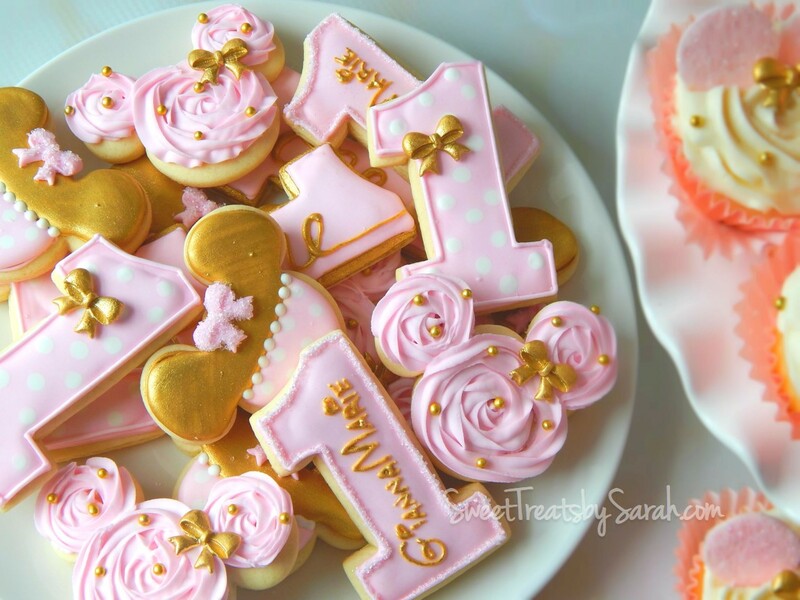 Pink and Gold is such a wonderful color scheme for little ladies! 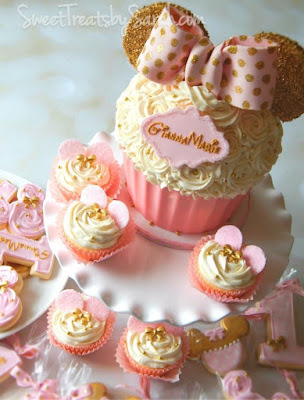 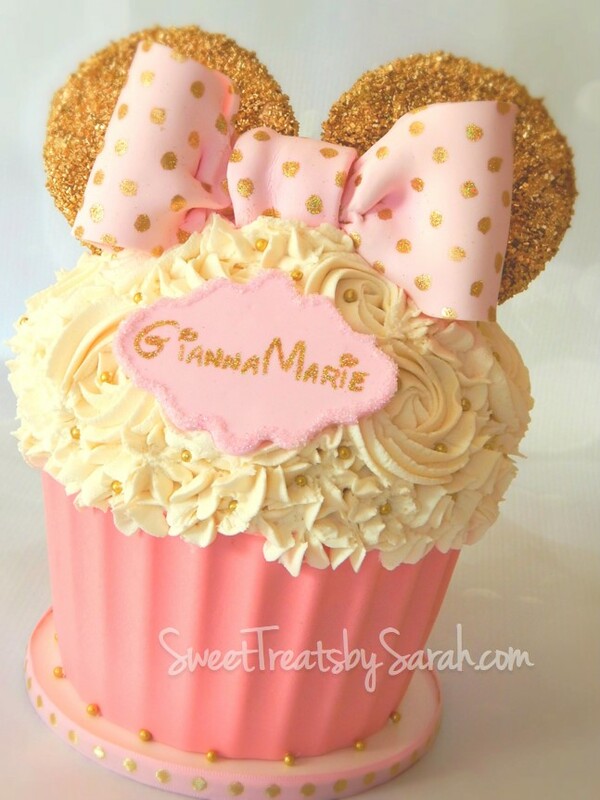 I actually made 2 of the gold and pink Minnie Mouse giant cupcakes on 2 separate days. You'll notice small differences in the photos. One was used for a pre-birthday smash cake photo session, and the other for the actual party. My oh my, I wish you could see just how adorable little Miss G was in those smash cake photos! 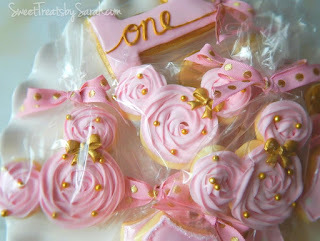 So now that I've made a giant cucpake, I suppose there will be more to follow. 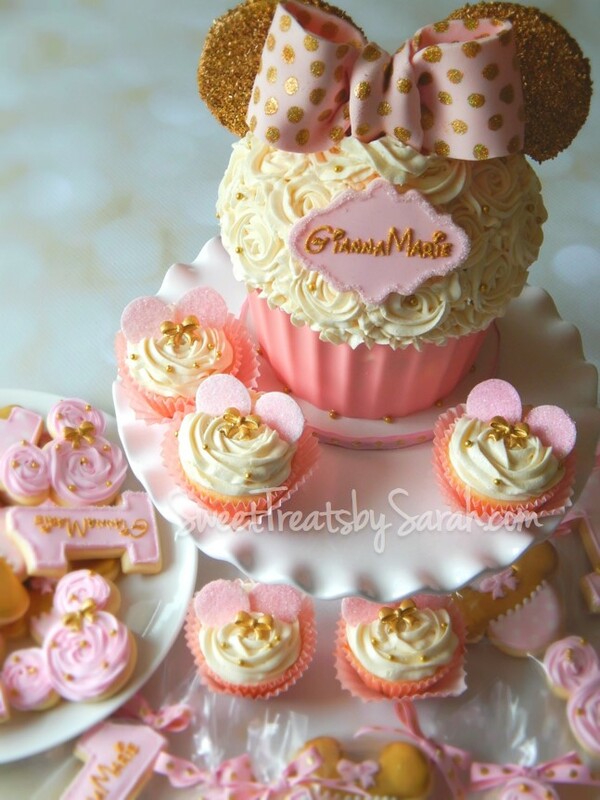 I used chocolate for the cupcake base. 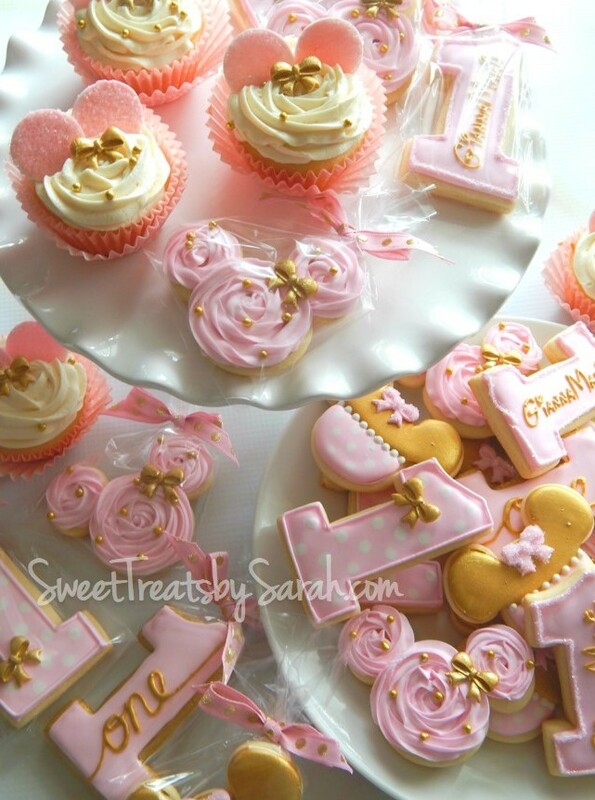 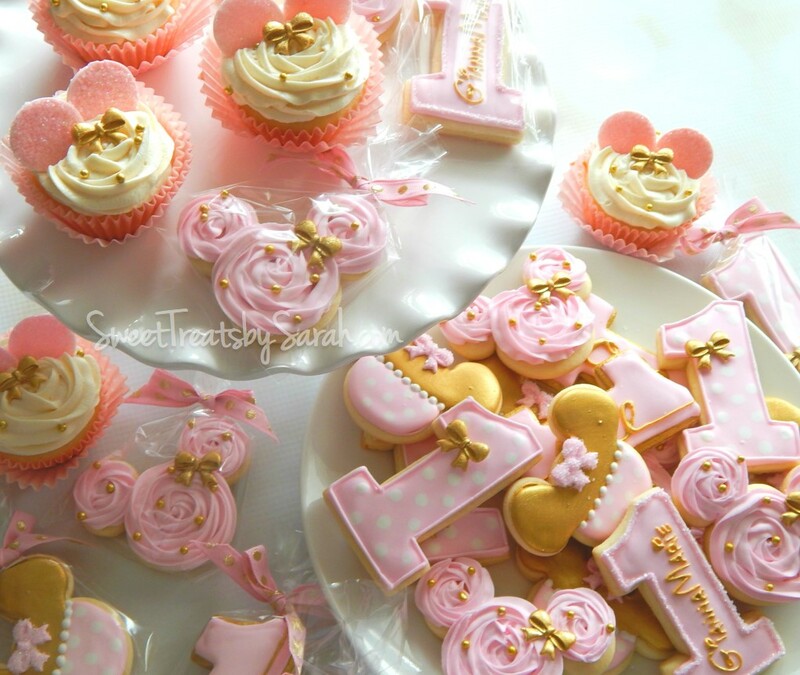 A mold was used for the small bows on the cupcakes and cookies. The rest of the fondant embellishments were hand made with fondant. Hi...I´m from Costa Rica and this cupcake is fantastic and I have to make one like it, but I need to help me as it did the ears for the cupcakes please thank you. Roxana.